It’s almost Spring and we couldn’t be happier welcoming the new season in our new home. Our experience working with you to buy a new home was wonderful-professional, educational, fun, easy and very rewarding. You both impressed us with their friendly and relaxed attitude when we met at the ’Open House’ in Montgomery Estates. We were new to Lake Tahoe and trying to get to know the town and neighborhoods. Once we made the decision to buy, calling you was the easy part. You bring a wealth of experience in real estate to your clients. Your knowledge of the Lake Tahoe area and the various rules and regulations of the real estate market were priceless; saving us time, energy and making sure we bought the right home for us. Your assistance through the negotiations was so helpful and calming, you always seemed to be 2 steps ahead of everyone involved in making the sale happen. Thanks for making home buying a fun adventure with a very happy ending! 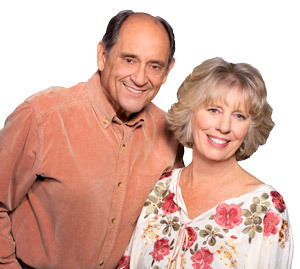 "If you are thinking about buying a home, I would recommend Don and Janice Bosson!! They were with me every step of the way, and helped me find the home... continued"